STOP the NOISE – With Filtered Terminal Blocks From CORRY! Corry Micronics complete line of barrier type filtered terminal blocks deliver superior attenuation of EMI/RFI noise, making them perfect for filtering power supplies, industrial controls or instrumentation. And although they already come in a number of in-stock configurations, custom wiring options are available! 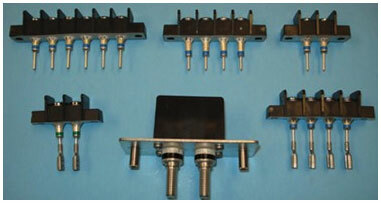 Download a spec sheet for the Corry Micronics Filtered Terminal Blocks HERE! Ready to do some Terminal Filtering? Need a Customized Solution or Bulk Pricing? Our accounting pencil pushers love to see how low we can go.